Come and meet us on our Open Day on 24 November in Venlo! HAS University of Applied Sciences opens its doors for you, to give you a first-hand experience of what we have to offer to you as a student. Get to know some of the lecturers, walk around the building and listen to the presentation about your favourite study programme. Would you like to visit HAS University of Applied Sciences for 1 of our Dutch study programmes? Interested in managing an international business? Study Business Management in Agriculture & Food and learn on the job all about plants, animals, food and business in an international context at HAS University of Applied Sciences, location Venlo. 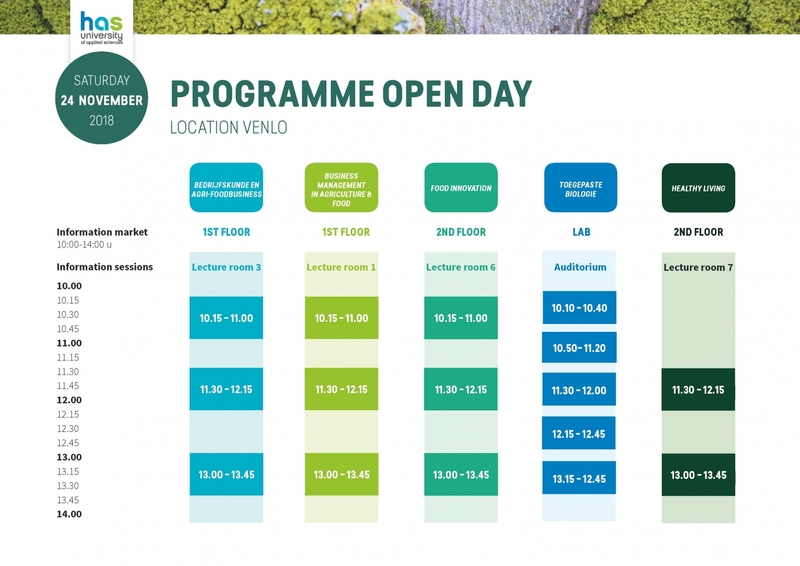 Visit an open day in 's-Hertogenbosch if you are interested in plants, cultivation and business. Or interested in sustainable food business.